Ab Jenkins set the world speed record on Utah’s very own Bonneville Salt Flats. He raced his Duesenberg Mormon Meteor across the flats, reaching a speed of 161.18 mph. He also served as Mayor of Salt Lake City from 1940–1944. 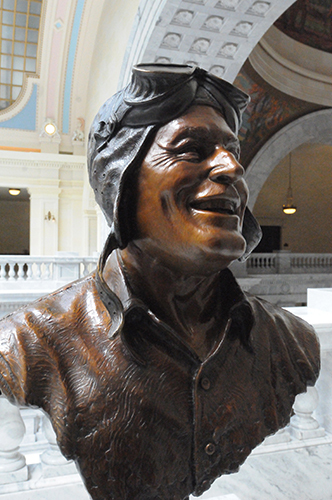 The bronze bust sculpted by Jerry Anderson is located in the southwest gallery on the fourth floor of the Capitol.